Audio-Technica has introduced its ATH-ANC1 QuietPoint active noise-canceling headphones, a new addition to its QuietPoint line that combines the comfort of on-ear headphones with a foldable design that makes them easy for users to carry around. While on-ear headphones are passé for some music fans, for folks who can’t handle the invasive nature of earbuds or the disorientation of over-ear cans, on-ear headphones represent a workable solution. The ATH-ANC1 come with a carrying pouch and feature a foldable design for easy storage. Audio-Technica’s QuietPoint active noise-canceling circuit is actually on a separate module riding on the headphones’ cord, so the weight of the module isn’t hanging on a user’s head. The system works using built-in microphones to detect ambient noise, then generating a noise-canceling signal that reduces the perception of that sound via interference before by as much as 18db it reaches a listener’s ear. 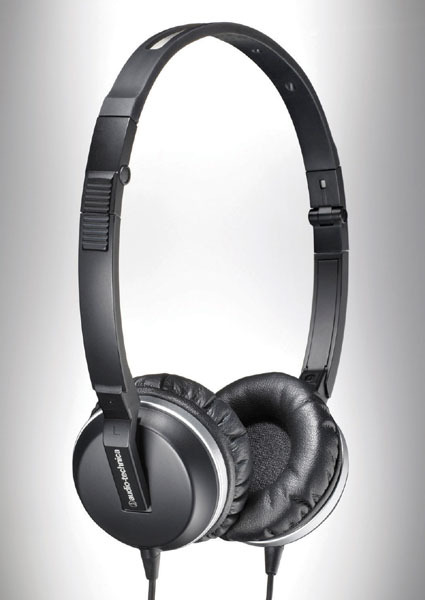 Users can opt to turn off the noise-canceling feature (the headphones work just fine without it) to save battery life. And, of course, they’re compatible with iPods, iPhones, portable media players, and a very wide range of devices. Audio-Technica says they’ll handle frequencies from 10Hz all the way up to 20KHz. The ATH-ANC1 headphones come with a AAA battery, an airline adapter, and a 1.6-foot extension cord. They should go on sale in January 2010 for a suggested retail price of $129.95.